To Perform in National Celebrations. Contact us NOW … WE ARE CLOSER THAN YOU THINK ! 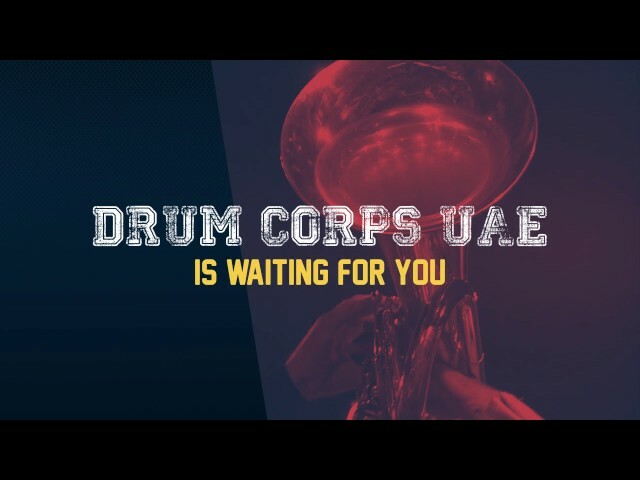 Drum Corps UAE is starting the first marching field band composed of brass, woodwinds, color guard and percussion in the UAE, working closely professionals in the field of Marching Band and Drum corps, who are supporting us to have the best teaching methods with local schools and kids. As a result of our hard work and training with the band, we are working on creating the FIRST and BIGGEST marching band show in the Middle East with Emirati Twist! Huge performance with live music and choreography inspired by the Emirates Heritage combined with modern performing arts will be performed by our band.